Buying items that will go into my families stocking is more fun then the bigger gifts. I love when they open these stocking stuffers and say how much they love it. I came up with a collection of items you can give to anyone. If you haven't seen my recent Holiday Gift Guide for Ladies, Men, PC Gamer and Teen Boys stop by and take a look for some inspiration. The best movie and you will score big with this great watch. 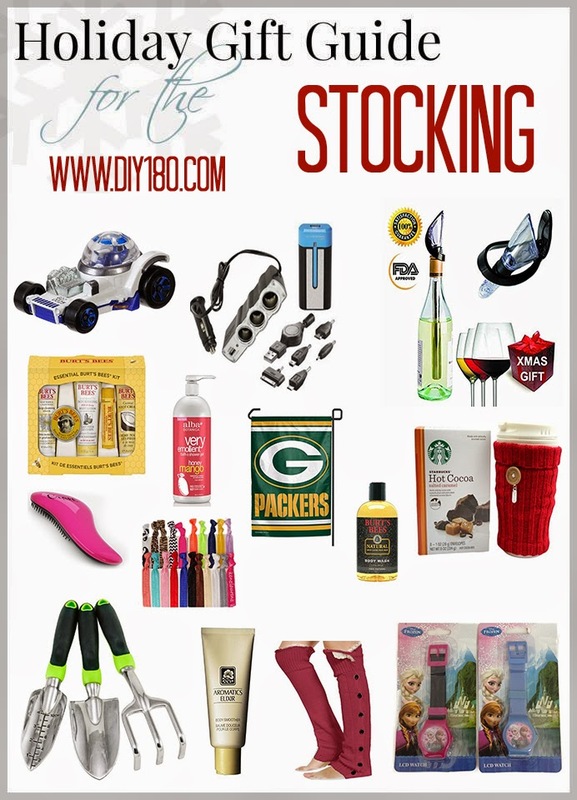 This is a GREAT stocking stuffer list! I see lots of ideas for gifts even! Thanks for sharing! Lovely stocking stuffer list some of these things I would have never thought of. I'd love to receive that Burt's bees pack in my stocking. oh... I totally LOVE the boot leg warmers! I need to add that to my list! Great stocking stuffer ideas! Love those leg warmers!! Great gift guide! I am just working on stockings now.